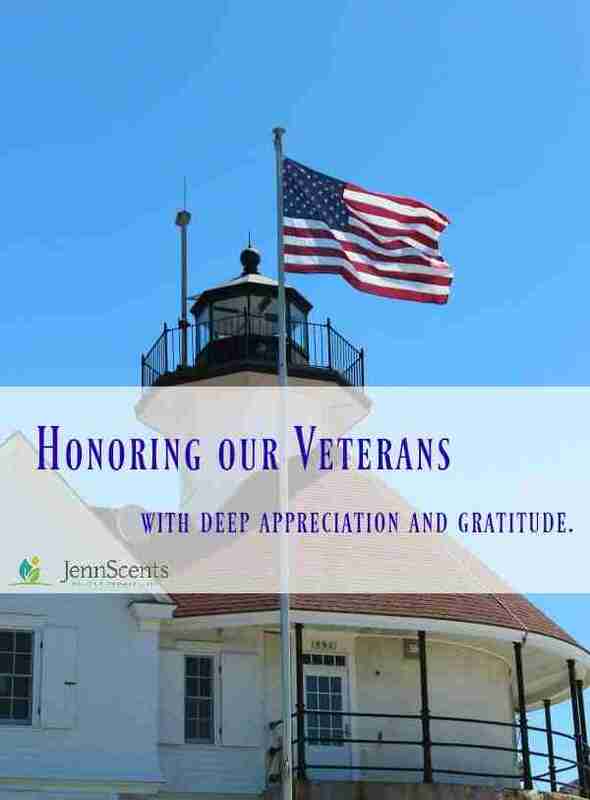 Honoring Our Veterans With Deep Appreciation & Gratitude - JennScents, Inc. Mental Health PSA as we approach memorial day – a day to honor our veterans who have seen and experienced some unimaginable sights. Mental Health instability affects so many people. There are statistics that show it affects 1 in 5 people, but what about those who suffer in silence. I’d almost bet the stats are closer to 1 in 2 or 3 people. It’s the silent sufferers I want to reach out to. Many depend on anti-anxiety and anti-depressant medications to go out in public, handle stress and even just do normal, everyday tasks. Here are some helpful ideas to think about if this is you, or someone you know. First off, you need to consider that you may need professional help. Nothing to be ashamed or embarrassed about. Everyone seeks a therapists at least once in their life. Second, know that you are not alone. Talk to your friends, pastor or spiritual guide if you need a shoulder to lean on or a sounding board. Third, know that help comes in all kinds of forms from professional help, herbal remedies such as St. John’s Wort, Wood Betony and Passionflower to aromatic scents such as lime, orange, geranium, frankincense, chamomile and cinnamon. No matter what you choose, choose something to enhance your life, help you cope with the PTSD that affects your mental state and enjoy the blessings that now surround you. I love what I do – helping people achieve their best physical, mental and emotional health. It is always a beautiful thing to see a lightbulb go off, or an “aha” moment pop up when my client realizes there is hope, there is a way through it. I share this with much love, appreciation and gratitude for those suffering, but also who choose to keep going, find a way to heal their memories and become a positive role model for perseverance. In honor of my late father, Richard Hoshell.